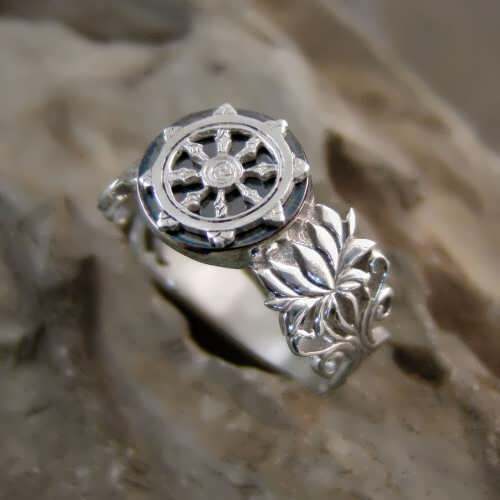 On top of the ring there is the Dharma Wheel Symbol. The circle, the round shape of the wheel, represents the perfection of the Dharma, the Buddha's teaching. The rim of the wheel represents meditative concentration and mindfulness, which hold practice together. The hub represents moral discipline. The three swirls seen on the hub are said to represent the Three Treasures or Three Jewels -- Buddha, Dharma, and sangha. 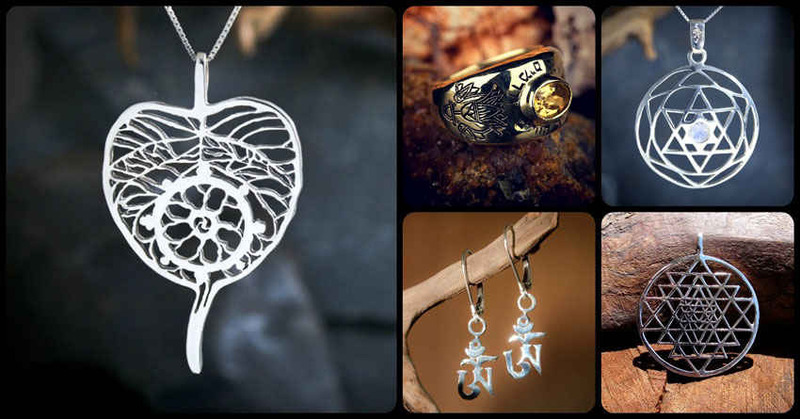 They also represent joy. The spokes represent the Eightfold Path. 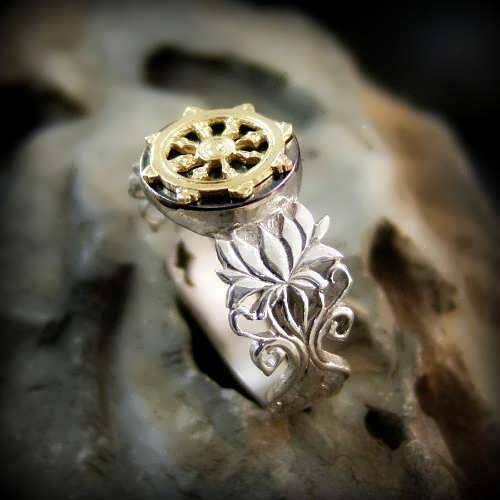 A white Lotus Flower which will be symbolized in a silver ring refers to purity of the mind and the spirit. 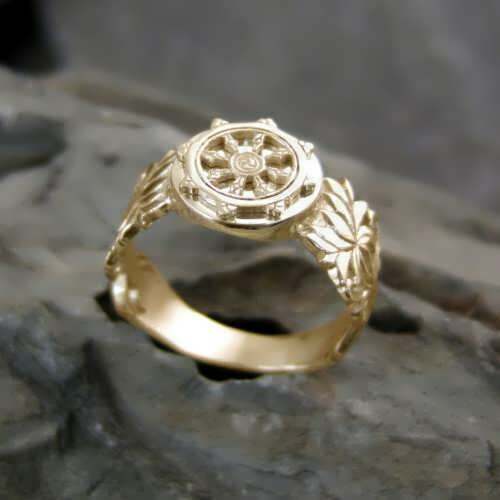 In the gold version of the ring the gold Lotus Flower represents all achievement of all enlightenment, especially in the Buddha. Since I was a child I used to have close encounters with turtles. I was actually fascinated by all of the living beings in the animal kingdom, and I can still remember the frightened pale white face of my neighbour as he was looking at this five year old kid hugging his rottweiler while the huge canine was licking my face. I wasn’t aware of fear, and everything was full of compassion and love. 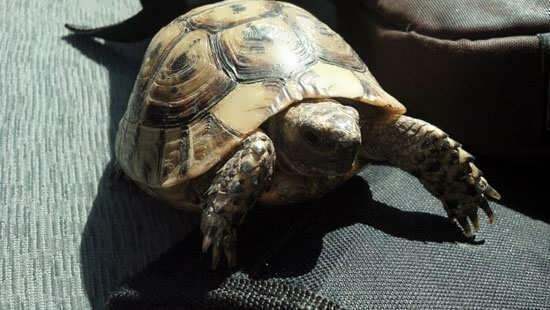 I used to find turtles, old ones and young ones. Sometimes, I found them walking slowly astray on the pavements of the urban jungle because of the dwindling wild spaces of the city. Several times, I took them to my house, gave them some fruits and vegetables and then release them in one of the few surviving wild areas near my home. A few weeks ago as I was driving my car, I saw this brown spot crossing the road slowly in front of my car. I hit the brakes, got out of the car and noticed that the turtle came out of a huge parking lot. It was a hot day, and there were no trees or any noticeable flora, so I took this ancient hitchhiker and found a large forest area and released it. "It's likewise a sheer coincidence that one obtains the human state. It's likewise a sheer coincidence that a Tathagata, worthy & rightly self-awakened, arises in the world. It's likewise a sheer coincidence that a doctrine & discipline expounded by a Tathagata appears in the world. Now, this human state has been obtained. A Tathagata, worthy & rightly self-awakened, has arisen in the world. A doctrine & discipline expounded by a Tathagata appears in the world."